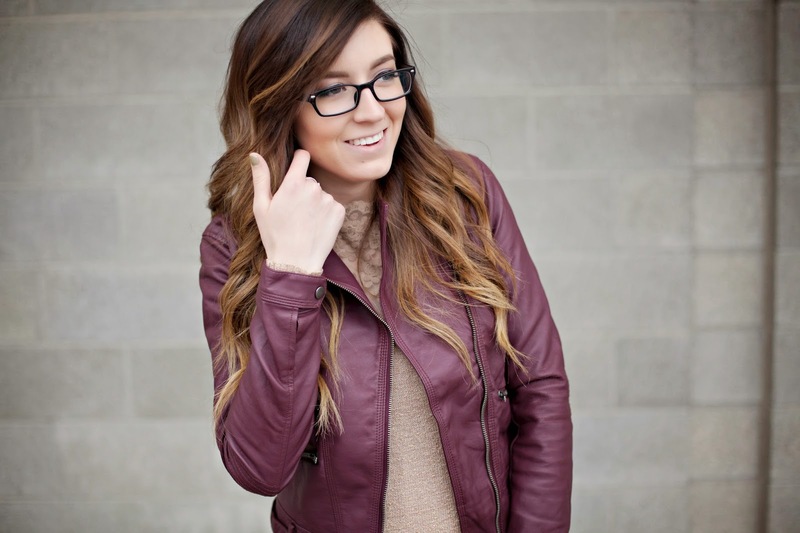 I have always been a sucker for a faux leather jacket. I have multiple that I wear on a regular basis. The only issue with that is that they are all some variation of black. I hadn't really ever thought of having one is any other color because as you all have probably noticed, I have a pretty specific taste in what colors I like to wear. A lot of black. 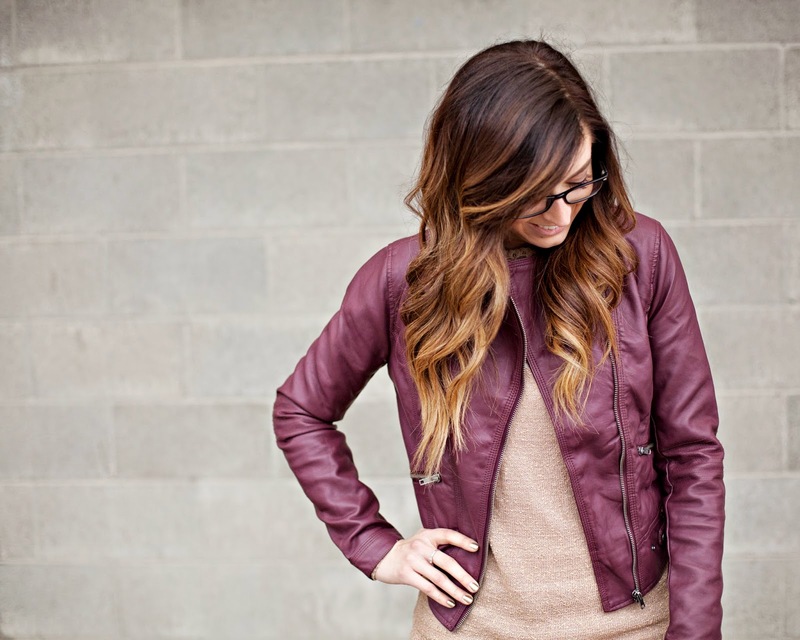 Well, when I saw this burgundy faux leather jacket from Pink Blush I knew I needed to add that into my collection. I'm so glad I gave it a shot, it is a great jacket and I love the color and the zipper detail! It's just enough to get me out of my comfort zone yet still feel comfortable. One of my New Years resolutions this year is to step out of my comfort zone and try new types and colors of clothes. It's kind of a silly goal but we'll see how it goes. Last thing, yesterday Chelsea announced the information for the blogger closet sale that we are hosting on January 17th! We have teamed up with other local bloggers and shops so you can shop new/gently used clothing. It's going to be a party-and we would love to meet you. 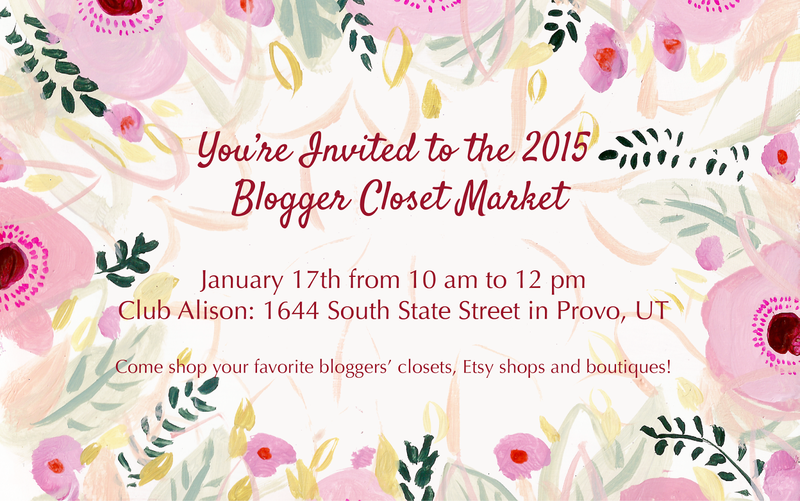 The event will be held at Club Alison in Provo. Check out the invite below for the details. We can't wait to see you all there!